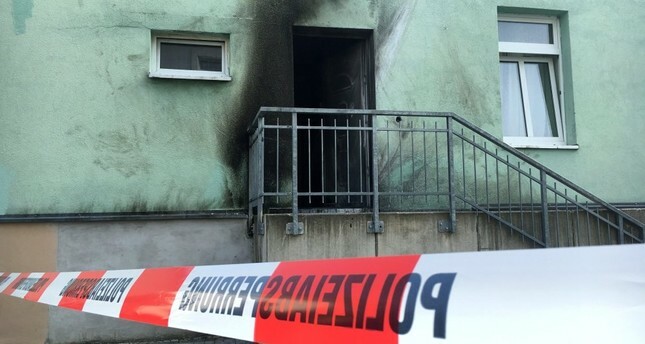 A Turkish-run mosque damaged by an explosion in Dresden, Germany, which is one of many attacks in the country that comes amid concerns of rising Islamophobia across Europe. Many Muslims still remember the killing of a pregnant Muslim woman in a German court based on anti-Muslim motivation. On July 1, 2009, Marwa was stabbed to death by the attacker, who openly revealed his anti-Muslim bias. Five years later on July 1, 2014, a Muslim student union launched the Day Against Anti-Muslim Racism. With this initiative, Muslims are able to raise awareness in their societies that Islamophobia is real and can have deadly effects. Such initiatives aim to challenge existing Islamophobic policies. Such is the case with the Canadian example. Very recently in Canada, in early 2017, Black Lives Matter-Toronto alongside numerous other justice and civil liberties organizations, appointed Feb. 4 as National Day of Action against Islamophobia and White Supremacy following Trump’s “Muslim ban.” Their call was related to policy claims toward their own government to challenge their neighbor’s Islamophobic policies. Also, in 2014, the No Hate Speech Movement, a youth campaign for human rights online, financed by the Council of Europe, launched seven days of awareness. In 2014, Sept. 21 was made an Action Day against Islamophobia and Religious Intolerance. Yet another day announced was Action Day Against Antisemitic Hate Speech on Nov. 9. As for part of the No Hate Speech Movement, it was clear that there had to be a day against Islamophobia given, according to a survey conducted by the Council of Europe in 2012 that declared that Muslim people were the second most targeted group by hate speech online in Europe. Since then, this day has informally become the European Day Against Islamophobia. Many different Muslim and civil liberties organizations throughout Europe use it to tackle Islamophobia on a supranational level in European institutions. Security-oriented counterterrorism measures are having a disproportionate impact on Muslims or those perceived as such, including racial profiling by law enforcement authorities, police abuses during raids and the use of administrative restrictions on the basis of vague and discriminatory criteria. The “escalator” approach whereby a conservative religious practice would lead to support for violent terrorism is bound to inefficiently target innocent Muslim individuals and families, and to generate violent backlash from the mainstream population. As a first step, EU institutions must publicly recognize and condemn Islamophobia as a specific form of racism. The symbolically very important European Day Against Islamophobia must be filled with life. The European Commission should agree on a road map to ensure that EU member states adopt national strategies to combat Islamophobia in areas such as employment, education, health, hate crime and criminal justice. EU and national counterterrorism measures must build on independent impact assessment studies, include human rights safeguards and be complemented by long-term prevention through equality and social inclusion policies. Although the statements of high-ranking politicians such as Frans Timmermans, the first vice president of the European Commission, who recognized the problem of Islamophobia, are positive steps. The European Coalition against Islamophobia, which I am part of, declared that there is large potential for improvement regarding the fight against Islamophobia in the EU. According to the European Coalition against Islamophobia, the EU and national legislation provide legal remedies for racist crime and discrimination, yet Muslims still suffer from violence, prejudice and exclusion in Europe. In this context, the EU’s Fundamental Rights Agency (FRA) recommends better implementation of relevant EU and national legislation to combat widespread harassment and hate crime against Muslims. With a new EU coordinator on combating anti-Muslim hatred being nominated, stronger and more concrete commitment and actions are needed to combat Islamophobia. While it was a very positive step in 2015 to create the position of an EU coordinator on combating anti-Muslim hatred, there are still structural problems to be observed. What is needed and at the same time possible, is that the European Parliament can adopt a resolution on combating Islamophobia with concrete policy recommendations and ways forward as it did to combat anti-Semitism and anti-Gypsysism. Given the current wave of illiberal democratic policies, this should be a priority for all politicians who work for an inclusive and open society. There is also a necessity for EU standards for national action plans against racism that take into account specific forms of racism and include specific measures on Islamophobia with objectives and targets. Also, EU member states should adopt national action plans against racism addressing Islamophobia as a specific form of racism. Here again, symbolic days against Islamophobia could be installed on a national level to organize these efforts collectively and create the framework to give a voice to those fighting for the equal treatment of Muslims. Indeed, many NGOs in Europe reveal that there are still misconceptions by European as well as national institutions, with regards to the issue of Islamophobia. Hence, it is of utmost importance for EU policy makers not to fall into the trap of treating Muslims as potential problems but rather as human beings whose fundamental rights can be violated. Combating Islamophobia is about politically addressing structural forms of discrimination and racism affecting Muslims or those perceived as such. It is not about reforming Islam or surveilling Muslims.